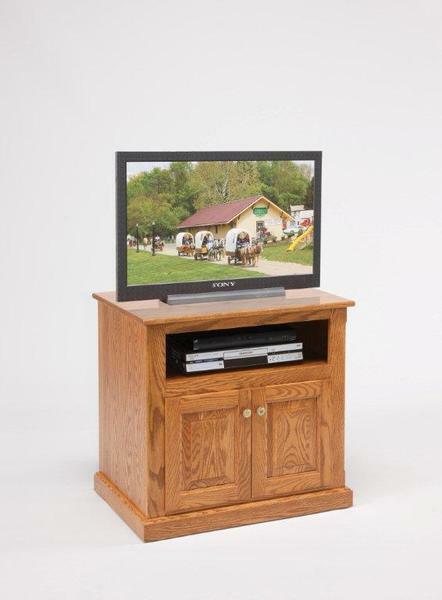 The Amish 30" TV Stand is a great match for a small living room or TV area. The lower cabinet offers room to store movies and there's an open shelf for a DVD player. Cabinet doors feature raised panels. This TV stand is available in a variety of solid harwoods and finish colors. Measures 30" wide, 20" deep and 28" high. This TV stand is made by the Amish by hand.